The story in this show is very decent and also surprisingly progressive. I like how this series is one long storyline and it also pulls you in fairly quickly. A downside is that since this show has one long storyline in a box set with over twenty-five episodes you will see the story progress slowly in some parts of the show. This is also a very easy show to watch and understand so you can do some multi-tasking during this show if you choose to do (excluding vacuuming the house as you won't be able to hear the show). They do focus too much on the children in some episodes although I do like the characters but there are moments where I am like "Just show us some Transformers already". 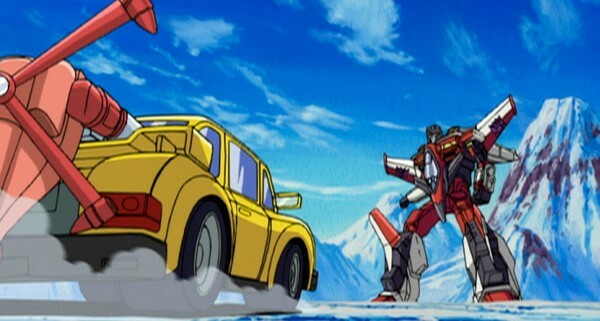 Action in this show is the typical style you would see in any Transformers series but still nice to watch nonetheless. Characters in this show are very good but can be a little annoying when they are first introduced but they do get much better after that... Well that's not fully true as there is one annoying trait and that is that the character "Alexis" has an annoying habit at staring into the camera like a deer in the headlights. 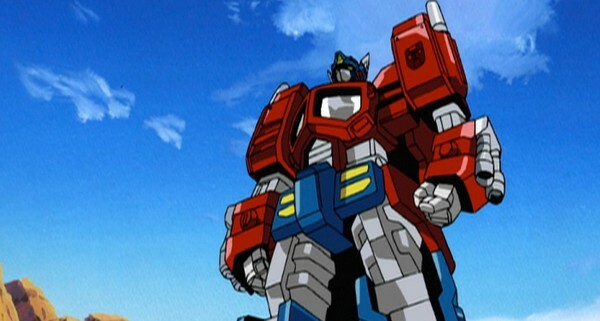 I really enjoy the Transformers in this as they got the heroic nature of the Autobots just fine. The Decepticons in this series are a bit more threatening than any of the other Transformers series and I really enjoy that. They are more ruthless and they have a teleportation system where they can just warp in at any time and any place so they can just attack without warning. The Mini-cons can be a bit campy at times but they are also really helpful and really likeable. Artwork in this show looks very good with some very awesome looking robots with some nice detailing. 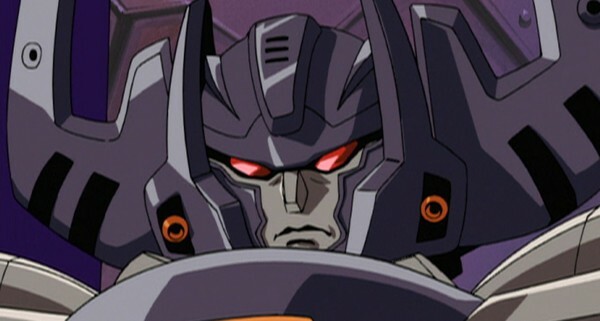 I'm very fond of the design for Megatron as not only is he a very terrifying looking beast in this version of Transformers but I also really enjoy how they took all of the best parts of his past incarnations (like from "Beast Wars (1984 - 1987)" and "Transformers G1 (1996 - 1999)"). The humans and Micro-bots aren't as detailed as the main Transformers but I did enjoy their designs and their anime designs really suits the Transformers franchise very well. Backgrounds and scenery are also really good looking with each set adding very different vibes which is good for the show's atmosphere. Downside to the artwork is that is has aged a little bit where it is a little faded and has a very indescribable aged vibe. I'm mixed on the animation as sometimes it can be really good and smooth but other times it can look very weird as if it were a digital comic book. Don't worry as the animation doesn't get too bad that it'll make you go "eww blech". English dub is good and it does go very well with the characters but you won't fall head over heels in love with it either but it gets the job done. Soundtrack uses a futuristic techno sound that just screams out "Welcome to the year 2002" and it is quite nostalgic but some tunes can also be annoying. 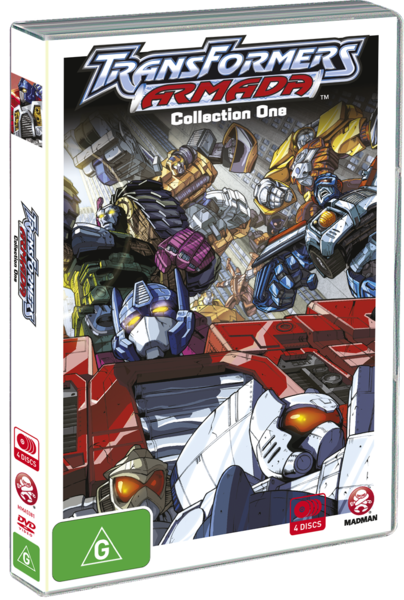 I really love the special feature section on this release as we get a bunch of sweet photos of the Transformers Armada toy line and yes that includes both pictures of the Autobots and Decepticons in robot and vehicle modes. There is a gallery that shows off the comic book covers of the Transformers Armada comics by DW Publishing. 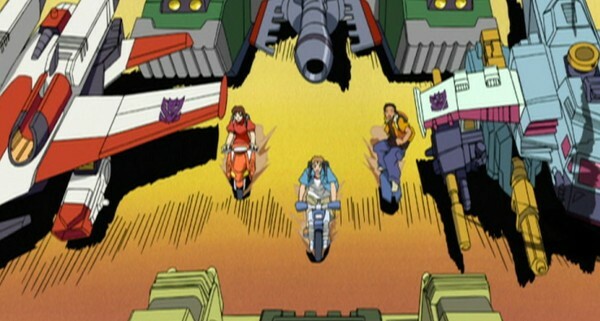 Finally you get a whole bunch of promotional footage of the Transformers game for the Sony Playstation Two (from 2004) which is very fun to watch. Overall this was a very enjoyable show and I am looking forward to watching all the other seasons of this show in the future. Fun viewing. Animation/Production Studio: Actas Inc, Aeon Inc.